The Latest with David Jay: FREE Showit Web Update! 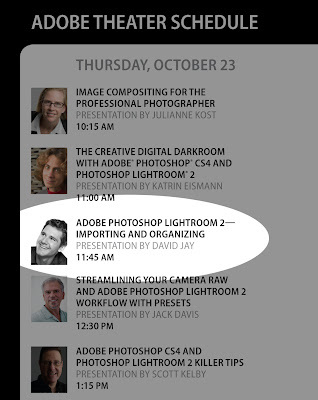 Come see me tomorrow at the Adobe Booth. I'll be presenting at 11:45 and sandwiched between some pretty amazing speakers. I'll try and get there early to hang with all of you coming out b/c after that I'm gonna be buzzing around a good bit since I only have one day here. - Two brand NEW and awesome songs by TJ Hill! - Two sweet NEW timing templates to go along with them! - Make Money NOW with Showit Books! Totally free to offer these books! It's another new feature in Showit Web! Watch this video to get started offering custom made books in five minutes! Order books before December 1st to take advantage of the insane low starting price of $29 per book! Click here to download the FREE UPDATE! If you haven't bought it yet SAVE $60!!! on a new version of Showit Web if you order in the next 48 hours by using the code "48HOURS" during checkout. Click here to order! Freedom and Slumber Workshops selling out FAST! 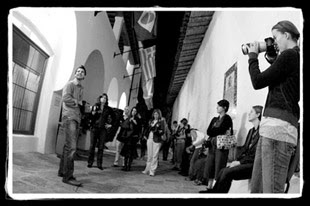 Last year this all inclusive SB workshop event filled up in 6 hours so act fast!!! Space is extremely limited and 7 spots are already gone! Click here and reserve your spot today! I can't wait to see many of you in NY! I'm Daniel, an amateur photographer who is actually deciding if he's stays in PC or change to mac these days. I'm really sure that I will buy ShowIT Web but I'm waiting to buy the right version since there is one for mac and another for pc. I was thinking to write you to ask you if there was a student discount of something but now that I saw the 60% off I would like to try it out. My question is if there is a possibility to get the 60$ off but giving me some days to figure out my decision about the computer please. For sure I have to decide next week. Please let me know, before 48h if possible, what do you think about it... if I have a chance. Thanks! Hey DJ - I can't find your email anywhere but I just wanted to say a huge THANK YOU once again for featuring my Showit Site on the official site as well as just recently adding my URL to your newsletter! Wow, what a priviledge. I've already had something ridiculous like 850 website views today--my usual number is about 60. It's all very exciting and I just want to thank you for blessing me in that! Thank you for the Showit Update DJ, I appreciate it. I can't wait to try it out. david have you read the book the "way of the peaceful warrior" by dan millman?